On 7 September 2016 BEROC (Belarusian Economic Research and Outreach Center) held a seminar on private sector development in Belarus featuring presentations and debates from experts. Peter Arushanyants, Director of the Department of Entrepreneurship at the Ministry of Economy of Belarus, has asserted that the government will do its best to promote the development of entrepreneurship in Belarus. However, ​​representatives of small and medium businesses are more pessimistic about their prospects; many consider the existing barriers to business development insurmountable. Speaking optimistically, Peter Arushanyants has claimed that the share of small and medium business in economic indicators accounts for 28 per cent and is set to reach 40 per cent in five years. However, the actual figures contradict the above statement. Starting in 2012, the share of medium and micro enterprises in GDP has consistently fallen (see Figure 1). The government representative has also highlighted the most significant problems for entrepreneurs in Belarus, including legal and financial barriers and high taxes. According to experts at the International Finance Corporation (IFC), "legal barriers" implies the large number of necessary documents and stamps, the absence or lack of information about administrative and licencing procedures, the length of the process (more than three days), and the unnecessarily "high" level of decision-making (when decisions could be made by lower ranking officials). The second barrier for entrepreneurs involves high interest rates on loans, sometimes reaching 30 per cent. The third problem mostly has to do with the instability of tax legislation, which increases uncertainty in the operating activities of small and medium companies. According to Belstat, the share of employment in entrepreneurship has remained more or less static over the last seven years; this may indicate that entrepreneurship is not very appealing to Belarusians. However, Peter Arushanyants has tried to convince the business community that the authorities are doing their best to promote commercial activity. Measures include the creation of a state body that will assess the regulatory impact of legal acts, further reduction of administrative barriers (currently 780), financial assistance, and possible two year holidays for newly established enterprises. Moreover, women's share in the number of top managers has reached 36 per cent, which is almost twice that of other transition states. According to Belarusian businesswomen, one of the main reasons for this substantial increase is the​ availability of free money for self-realization. However, the Head of the International Finance Corporation (IFC) Representative Office for Belarus, Olga Shcherbina, has admitted that the number of women on the list of the top 200 entrepreneurs in Belarus is very small. Moreover, half of them represent citizens of other countries; the others are continuing the business of either their parents or spouses. Thus, she concluded that Belarusian women still lack entrepreneurial initiative. In order to participate in big business they need special support and a centralised training program. In light of the current economic recession in the country, sociologist at the IPM Research Center Darya Urban has identified four main internal barriers to development of small and medium private enterprises in Belarus. These include low motivation and productivity of personnel, lack of cheap money, a low level of managerial flexibility, and poor marketing strategy. The external flaws include instability of the Belarusian ruble, high tax rates, high interest rates, and volatile legislation. As a result, the level of entrepreneurial optimism has fallen. In 2015 more than 80 per cent of respondents believed that they would be able to ride out the "storm". However, today the number of "sea wolves" has dropped by 60 per cent. Moreover, The Honorary Chairman of the Business Union of Entrepreneurs and Employers Georgy Badey is even more pessimistic about whether businesses will be able to survive all nine waves of economic turmoil. According to him, the average annual growth rate of newly established small and medium enterprises decreased from 21 per cent in 2006-2010 to 5 per cent in following years (see Figure 3). Finally, one of the biggest problems remains the geographical disparity of entrepreneurial activity: most entrepreneurs are based in Mink or large regional cities. Smaller cities and towns still suffer from a lack of entrepreneurial development. Belarus's business takes place in the hypothetical centre of Europe. However, Europe's geographic heart is far from its economic one. Small and medium businesses are still in need of advice and economic support, hope for a simplification of administrative regulations, prefer to operate in big cities, and remain unsure about how to motivate the million and a half Belarusian taking part in commercial activity. Many observers have noted that Belarus is slowly drifting towards the West and away from Russia. This is corroborated by experts, results of independent opinion polls, and the intensity of contacts between Belarus and the European Union. Russia retains four convincing arguments which effectively act as instruments of control over Belarus including economic, public opinion, and defence. Since the late 1990's, Belarus has been regularly receiving subsidies from the Russian Federation to the tune of about $10bn per year. This aid takes a variety of forms: direct investments, intergovernmental credits, reduced rates on fuel, etc., but the amount of money provided from year to year is more or less constant. Moreover, Russian subsidies have become such an integral part of Belarus’s economy and of the state budget that the main duty of one deputy prime minister consists of obtaining economic preferences and subsidised energy from Russia. 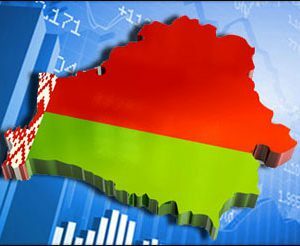 This brings us to our first conclusion, that the economic independence of Belarus is a myth. The same is thus true of the “Belarusian economic miracle”. One should also be cautious when talking about Belarus’s political independence, for what sort of political independence is possible when there is no economic independence? The Belarusian Analytical Workroom, headed by Andrei Vardomatsky, presented their findings in Warsaw regarding the influence of the Russian media on viewers in post-soviet countries, including Belarus. According to this research 73.1% of respondents from Belarus responded in December 2014 that they trusted (to a varying degree) the Russian Media. This means that Russia shapes (or at least significantly influences) the public opinion in Belarus. This also means that politically, Russia can promote or bring down any politician they choose, including Alexander Lukashenka. The Independent Institute of Socio-Economic and Political Studies, another independent national public opinion pollster in Belarus, conducted a study in June 2016 demonstrating that 33.6% of respondents were ready to side with Russia should an armed conflict break out between the Russian Federation and the West on the territory of Belarus. Three times less people – 13.4% – were ready to stand with the West. Moreover, 26.1% of Belarusians viewed Russia as a protector against potential aggression from NATO. It is hard to believe that despite the Russian media's influence, even 10.6% of respondents in Belarus supported NATO. In March 2016, when asked plainly: “with whom do you want to unite” 48% of respondents preferred uniting with Russia; whereas 31.2% of respondents preferred joining the EU. Thus the second conclusion is as unfavourable as the first: public opinion in Belarus is shaped by Vladimir Putin, not Alexander Lukashenka. 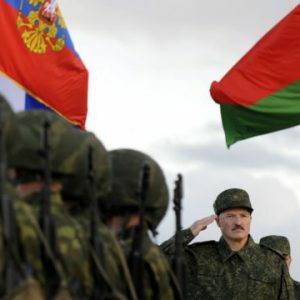 This means that in the event of a serious conflict between Belarus and the Russian Federation, the majority of the population may not side with Lukashenka. There has lately been an outburst of activity from various previously dormant organisations in Belarus. These include Cossack organisations, unions of Afghan war veterans, Orthodox youth camps, patriotic military clubs, and others. The Russian-language social network Odnoklassniki hosts many such groups and the number of their subscribers is estimated in the thousands or even tens of thousands. A peculiar feature of these groups is that they are often administrated by individuals with experience of armed conflict. The way the state has been treating Afghan war vets recently has been very unfair: the veterans have lost their well-deserved benefits after a recent and hugely unpopular social reform. What's more, the state does not provide any form of re-habilitation programme for former soldiers suffering from war related trauma. As a result veterans have turned into a societal delayed-action bomb that is more dangerous than the Belarusian state would like to believe. Moreover, there is an emerging group of new ‘veterans’ – vets of the Donbass war. These are people who travelled to the Donbass in Ukraine to participate in the on-going armed conflict between Ukraine in Russia over the past several years. Compounding the problem is the fact that there is no actual border between Belarus and Russia: anyone could hypothetically bring weapons across the border. In the current geopolitical context, the presence of a group of disenfranchised people who know how to use arms is an unpredictable element which could be employed with a completely unpredictable effect during times of social unrest. Thus, the third conclusion is also pessimistic: any large manifestation or political rally attracts all sorts of active individuals in the country. This means that the above mentioned groups could be involved as well, which may lead to armed conflicts and confrontation. Military and security enforcement services – siloviki – are a very influential group: these are after all the people who are permitted to carry guns. In the event of a coup, revolution, uprising, or confrontation with a neighbouring country their decisions may be a deciding factor. They determine whether or not to fire. Closer examination reveals that a large number of Belarus’s siloviki have ties to Russia. Let us start with the Defence Ministry of Belarus and its leaders. The Minister of Defence, Andrei Ravkov, graduated with honours from the Moscow Higher Combined Arms Command School, and he later graduated from the Russian General Staff Academy. All of his four deputies studied in Russia; two of them were citizens of the Russian Federation by birth. The leaders of various forces and troops must also be scrutinised. There are twelve such leaders in total, eleven of whom studied military science in the Russian Federation at institutions such as Gagarin Air Force Academy, the Military Academy of the General Staff of the Armed Forces of Russia, Khroulyov Military Academy of Logistics of the Ministry of defence of the Russian Federation. By the way, three of the above mentioned leaders are Russian citizens by birth. This trend holds true in other areas of siloviki leadership as well. Thus, the fourth conclusion is also worrying: nobody knows what the Belarus(s)ian siloviki would do should disagreements between Russia and Belarus escalate to a serious conflict. It is intriguing to see how Alexander Lukashenka will be able to cope with these "instruments" in the coming years. Olga Karatch is a Master of Arts in Political Sciences, European Humanitarian University, Vilnius, Lithuania (2012). For 2003-2007 she was a member of Vitebsk City Council (only oppositionist elected). Now she is a director of International Centre for civil initiatives "Our House".